Is there a way to beat a condi chrono in a 1 v 1 ? Tackled him 4 times, with different set up, cleanse, stealth, whatever, as Deadeye. No matter how I tackle him, how I encounter him, I couldn't kill him, and he always manage to wear me down with range condi spam and clone spam. I'm assuming he's wearing full Trailblazer. So is there any particular class that can counter that build? Or are they the king of 1 v 1 in WvW in general? Burst is a no go since he's so tanky and with reflect, block, invulnerable, and often hide behind clones. Easy. With a condition chrono. Check this video; condi chrono comes after 6.5 mins. Give him a condition treatment back into its face. Fight cancer with cancer. If only rl scientists could do that. Exactly as mentioned before, fight fire with fire this time. Sadly in many cases you have to fight back with condi. I do the same. My vanilla Engi can easily tackle groups of people, last time I went into a 1v5 and killed them all one by one. As a deadeye you have to be very patient to land a killshot. Mark him and decide whether to engage or wait for a better opportunity. It doesn't have to be a direct 1v1. If your enemy is stronger, you have to be smarter. And you know how to target mesmer: check mesmer's buffs. Don't waste rifle ammo to clones. Well you know what the deadeyes say? Some fights and builds you will be at a disadvantage against but also if you end up in a protracted fight. For example I play zerk shatter mesmer, if I don’t get the thief to blow all their cool downs in 10s I have lost and my only option is to run and hope I can juke them with limited stealth. In your case your singular advantage to dealing with this player would be to stack malice on an ambient while staying in permastealth and then one shot them with quickness. If that advantage goes, just peg it, no sense in fighting something you’re not likely to kill. If you were daredevil with cleanse on dodge you could probably win all the time but I doubt a deadeye can win in a prolonged fight which is what condi chrono is good at. Acro Staff DD with EA and PR takes care of condi chrono pretty easily. Everything class/build has a counter (usually), for deadeye, it's a condition mesmer. There was a lot of speculation pre-launch that deadeye was a mesmer hunting class, and it's turned out to be the opposite. Deadeye seems to be the counter to daredevil/core thief, whereas Mirage seems to be the counter to deadeye. Oddly, daredevil is a really good counter to condition mesmer and condition chrono (not sure about Mirage yet). Condi Chrono really is a very very strong dueling class it seems. That Daredevil guy is able to 1 v 3 and win, but condi chrono still takes him ages to kill too. Guess next time I see one I would switch to Daredevil before encounter. Even though Daredevil seems to have a clear advantage over Condi Chrono, it still take ages to kill him. That Daredevil guy is able to 1 v 3 and win, but condi chrono takes him ages to kill too. Accidentally posted a 2nd post. Play Spellbreaker. Worst case scenario, you will get bored and walk away. It's funny alot of you say fight fire with fire. I run scepter / shield on my chrono specifically for all the rangers I encounter. Just snare - if chronos can't run they can't do anything. Cripple, snare anything like that. Make them chase you. Use broken terrain that clones can't navigate. Condi Chrono will happily camp an area and dump clones all day if you let them. Min Scherzo is a god. You may have to fight disease with more disease - I've had success on D/D condi daredevil against average/decent condi chronos. Great condi chronos, however, know when to land their burst amongst the evade frames of deathblossom in general and cease attacking to not proc cleanse on dodge trait that daredevil has etc. Warriors are my biggest challenge. I'd say I'm most often betten by them. I can't handle the CC. Now, spellbreaker will get me, too. But honestly, any skilled player can win if they are able to stay on me. Being aggressive is usually key. Pre PoF, the only way I was able to beat condi chronos on guard was to play with maximum condi clear. It didn't matter which moves I dodged, how well I kited or how aptly I landed my bursts, a good condi chrono would always win if I didn't have enough cleanses. With the cleanses though, I could pull off a 50-70% winrate against the best of the best (losses were mostly due to them landing moa on me twice). The takeaway from that as a thief is that you can't trade with them so you have to play to your strengths. Bait them into chasing you and blowing blink/stealths, never miss your steal (you NEED that ecto +improvisation if you want any chance of surviving) and go in for quick bursts frequently (don't gamble on a 1-shot and exhaust all of your stamina/initiative). You can frustrate them by frequently going in for bursts (even if they have no prospect of killing), then retreating and getting out of combat to try again in a few seconds. If you kite them and keep your distance appropriately, they won't be able to generate enough clones and when they shatter from range, you can easily dodge. 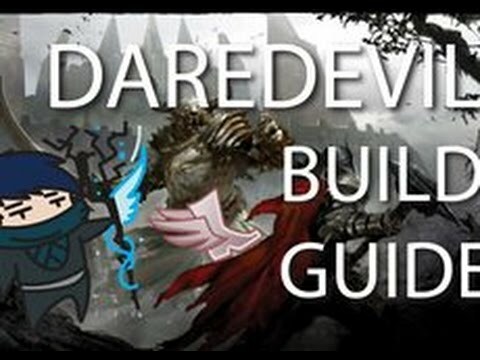 For Deadeye it's different, can't really advise there... but your gear for Deadeye should work for a Daredevil build, so you can always swap to that to counter a condi chrono if need be. I like fighting them with power Revs. (Massive uphill battle due to very limited condi cleanses). But what I've gleamed is that unblockables mess them up hard. What kills me most is chained Moas so they can unload that cancer on me. To the OP: the best way to counter a class that's giving you trouble is to make that class and learn its weaknesses. A lot of fighting chrono is understanding their time outs. It will help if you play it. I do admit that I didn't play mesmer nearly as much, but I know all their skills, weapons, cd, functionality, and so on. Still that doesn't help me with how to deal with their range condi spam on top of constant block/ invulnerable. I don't have trouble running away from him if I want to though. Maybe I should just leave him alone or something?